Wind Power At Sea North Atlantic. 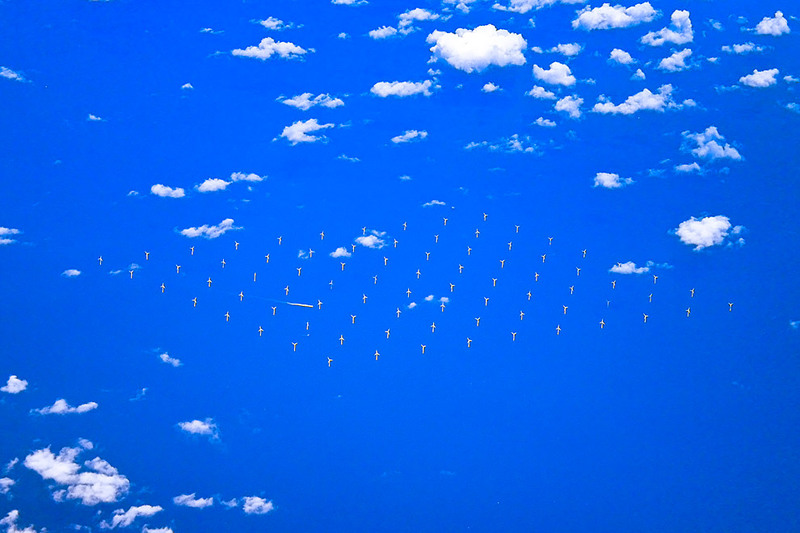 Viewed from a commercial airliner on a trip from Europe to the US is a field of wind mills. This entry was posted on Sunday, September 25th, 2011 at 8:29 pm	and is filed under PLACES and tagged with wind mills. You can follow any responses to this entry through the RSS 2.0 feed.